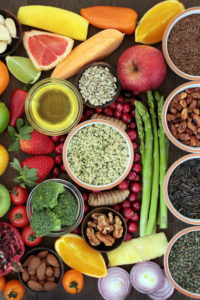 Foods with outstanding nutritional profiles—they're commonly called superfoods—should be part of your healthy eating plan. So what are superfoods? What are superfoods? 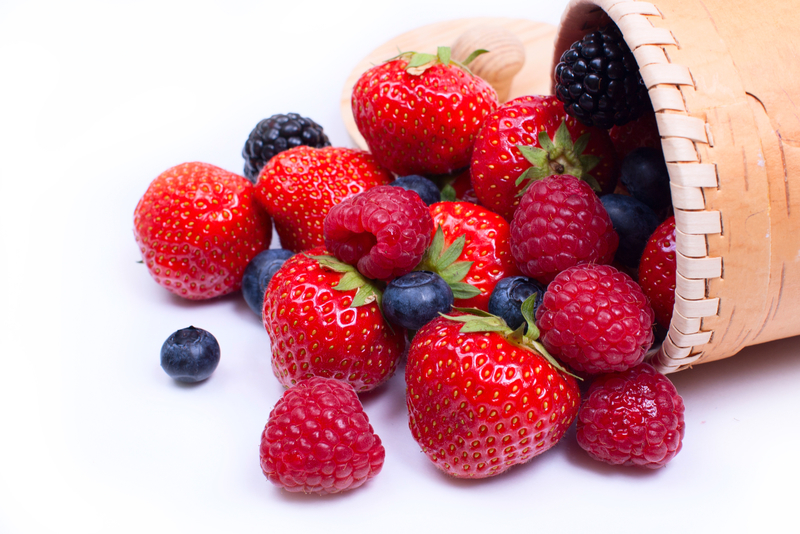 Such fruits as blueberries, raspberries, and strawberries are among the foods that fall under that umbrella. A quick word on fruits and vegetables: They’re probably the most popular among selections we count as superfoods. They provide fiber, unrefined carbs, and an array of vitamins and minerals. Adding whole or minimally processed vegetables and fruits (e.g., frozen or canned without added salt or sugar) to your diet is always a smart move. With all that in mind, here are eight selections commonly recognized as superfoods. In recent years, exotic acai and goji berries have been spotlighted for their beneficial nutrients, but don’t overlook the phytochemical power of our more readily available berries: blueberries, strawberries, raspberries, blackberries, and cranberries. In general, berries are high in fiber, potassium, and vitamin C. They provide a rich cache of phytochemicals, which include anthocyanins, procyanadins, and ellagitannins; these compounds have strong anti-inflammatory properties. Multiple studies suggest that eating berries may lower the risks of cancer, cardiovascular disease, diabetes, and age-related mental decline. The most popular fruit in the U.S., bananas contain vitamins B6 and C, manganese, fiber, potassium, and copper. In addition, bananas offer plant sterols linked with heart health, and soluble pectin and fructooligosaccharides, two types of fiber that foster the growth of friendly bacteria in the gut. Studies have found that bananas may be an ideal food for athletes, since they are a source of sustained energy and their mineral content aids in preventing muscle cramps. When you’re out gathering food for your meals, keep in mind that the word “superfood” is bandied about often—and not always accurately. Our companion post helps to sort out what’s “super” and what’s not: Superfood Claims: 4 Clues to Help You Steer Clear of Not-So-Super Selections. These nutritional superstars of the leafy green family provide at least 19 essential nutrients, including magnesium, potassium, iron, folate, and vitamins A, C, and K. Spinach and kale also are worthy sources of calcium. Green, leafy vegetables (romaine lettuce and collard greens are other top choices) also are rich in such phytochemicals as beta-carotene, chlorophyll, kaempferol, lutein, quercetin, and zeaxanthin, which have antioxidant and anti-inflammatory properties. Leafy greens have been linked with a number of health benefits, including protection against age-related eye disease, cancer, and osteoporosis. The colorful, yellow-orange flesh of winter squash is an excellent source of fiber and unrefined carbs that digest slowly. Many varieties are rich in vitamins A, B6, C, and K, as well as potassium, manganese, copper, and folate, and they provide a wealth of phytochemicals, including alpha-carotene, beta-carotene, lutein, zeaxanthin, and beta-cryptoxanthin. Varieties include acorn, butternut, buttercup, delicata, carnival, hubbard, spaghetti, and turban squash. Fatty fish is a great source of protein, and, unlike many cuts of meat, is very low in saturated fat. Instead, fatty fish—salmon, herring, tuna, rainbow trout, and mackerel—is rich in unsaturated fats, including omega-3 fatty acids (docosahexaenoic acid, or DHA, and eicosapentaenoic acid, or EPA). Diets that contain a significant amount of omega-3s have been linked with a lower risk of heart disease and high blood pressure, as well as less plaque buildup in arteries. Some evidence suggests that omega-3s help protect against neurodegenerative diseases, such as Parkinson’s and Alzheimer’s, along with arthritis, depression, and type 2 diabetes. Whole grains are a top source of unrefined carbohydrates (carbs), the slowly-digested “fuel” that provides you with a steady supply of energy needed for optimal function. The Dietary Guidelines for Americans recommend getting at least half of your grain servings from whole grains—three daily servings for the average person. Whole grains—including those on our short list, oats and quinoa—are rich in a multitude of essential vitamins, such as the B vitamins and vitamin E, and minerals, among them calcium, iron, zinc, magnesium, and selenium. In addition, whole grains contain various types of fiber and plant sterols and stanols, which have been linked with significantly lower levels of LDL cholesterol. Oats are almost always consumed in their whole form, with their bran and germ intact. Old-fashioned oats have been steamed and flattened, which reduces cooking time but preserves all of the nutrients; steel-cut oats are whole oat kernels (also called groats) sliced into smaller pieces. One serving (one-quarter cup uncooked) of oats contains 4 grams of fiber and 7 grams of protein, along with iron, thiamin, manganese, and magnesium. Oats are probably best known for their power to reduce LDL (“bad”) cholesterol levels, which helps lower the risk of heart disease. Eating oats has also been linked with lower blood pressure and blood glucose levels and a reduced risk of type 2 diabetes. Quinoa (pronounced KEEN-wah) contains a variety of key nutrients. Quinoa provides high-quality protein (it is one of the few plant foods that provides all nine of the essential amino acids your body needs to obtain from dietary sources), fiber, and several B vitamins (thiamin, riboflavin, vitamin B6, and folate), as well as magnesium, zinc, copper, manganese, phosphorus, and iron.While research is scarce on quinoa, some studies suggest the nutrients in quinoa have antioxidant effects, and that it may be helpful for weight loss or maintenance because its protein and fiber help fill you up and stay satisfied longer. Quinoa is also a gluten-free grain, which makes it a suitable choice for people who must avoid gluten (found in wheat, barley, and rye) because of celiac disease or gluten sensitivity. Technically, they’re known as pulses—the dried seeds of a broader category of foods called legumes—and they’re rich in protein and fiber while also providing folate, manganese, potassium, iron, magnesium, copper, selenium, and zinc. Other pulses include chickpeas, black-eyed peas, fava beans (or broad beans), and lupins (a type of bean). Consuming pulses has been linked with lowering blood cholesterol levels and inflammation, reducing weight, and helping prevent heart disease, hypertension, diabetes, and some types of cancer. These are just a few examples of the many superfoods that are available in your local supermarket. However, remember that adding a few superfoods to your diet doesn’t take the place of a healthful eating pattern. It’s your total diet that has the most significant effects in the long run. 2 diabetes, alzheimer, amino acids, anti inflammatory, antioxidant, arthritis, avoid gluten, b vitamins, bacteria, bad cholesterol, bad cholesterol levels, beta carotene, blood cholesterol, blood cholesterol levels, blood glucose levels, blood pressure, calcium, cancer, cardiovascular, cardiovascular disease, celiac, celiac disease, cholesterol, cholesterol levels, cooking, cramps, depression, diabetes, diet, dietary guidelines, dietary guidelines for americans, docosahexaenoic acid dha, eicosapentaenoic acid, eicosapentaenoic acid epa, essential amino acids, fiber, folate, food, glucose, glucose levels, gluten, gluten free, gluten sensitivity, health, healthy diet, heart disease, heart health, high blood pressure, high quality protein, hypertension, inflammation, iron, kale, ldl, ldl cholesterol, lower blood pressure, magnesium, muscle, muscle cramps, nutrients, nutrition, omega 3, omega 3 fatty acids, omega 3s, osteoporosis, plant sterols, plaque buildup, potassium, protein, quinoa, reduce ldl, risk of heart disease, selenium, sources of calcium, spinach, sugar, type 2 diabetes, types of cancer, vegetables, vitamin, vitamin b6, vitamin c, vitamin e, vitamins, vitamins and minerals, what are superfoods, whole grain, whole grains, zeaxanthin, zinc. I thought you might be interested in this article on https://universityhealthnews.com: What Are Superfoods?